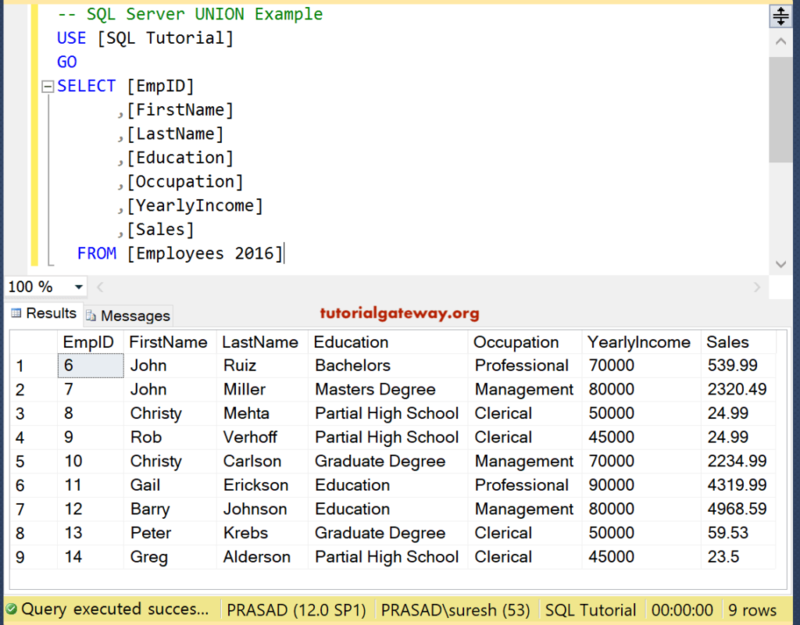 The SQL EXCEPT is one of the Set operator provided by the SQL Server. This is used to return distinct rows from the left-hand side query that aren’t outputted by the right-hand side query. 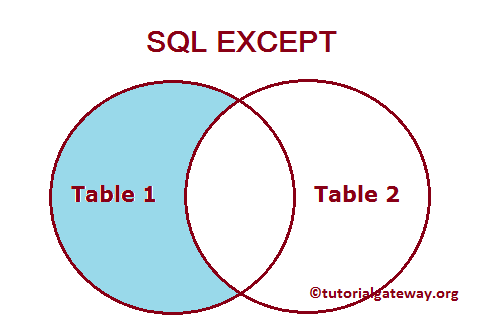 Or, we can simply say, SQL except will return all the records from a left table, that are not present in the right side. 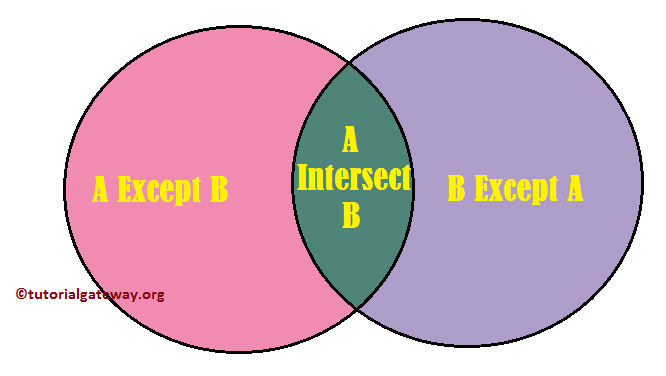 Below image will help you to understand the SQL Server Except. 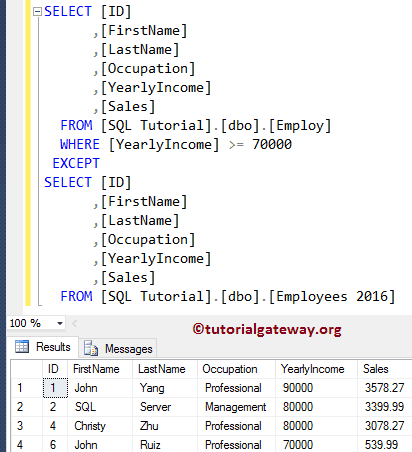 The number of columns must be the same in both the queries. 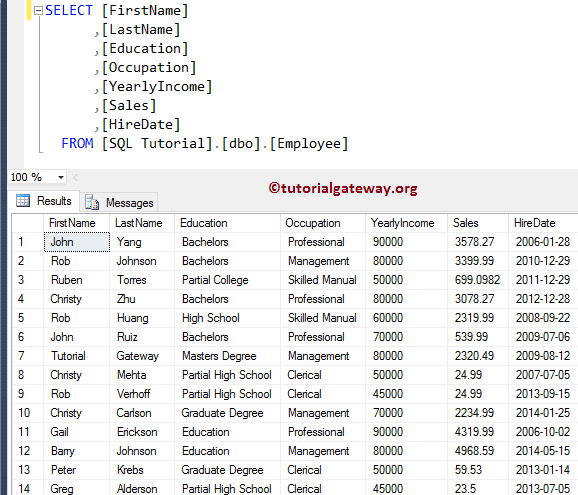 In this article, we will show you, How to use, or write SQL Except with an example. 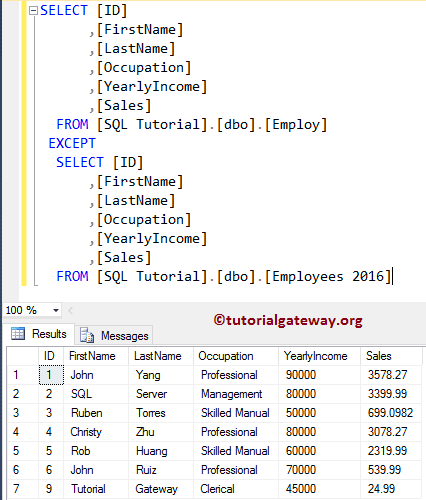 For this, We are going to use two tables (Employ, and Employees 2016) present in our [SQL Tutorial] Database. And [Employees 2016] table have four records. Remember that, there is only one distinct record (9, Rob, Verhoff) and the remaining records are same. Second result set – It selects the records from Employees 2016.
and the except operator selects existing records from the first result set, that are not present in the second result set. 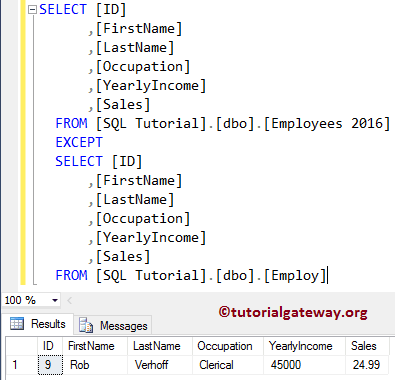 The following Query will display the list of common errors that we encounter while writing the SQL server except query. 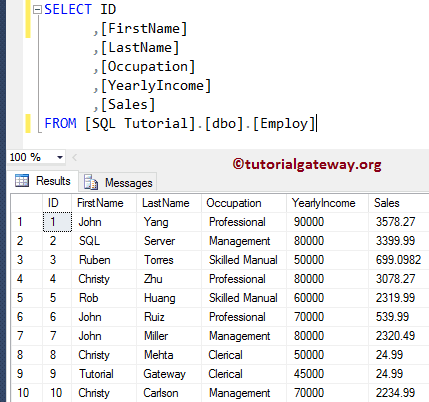 For this, We are going to use two tables (Employee, and Employ) present in the [SQL Tutorial] Database. From the below screenshot you can observe that [Employee] table have 7 columns and 14 rows. 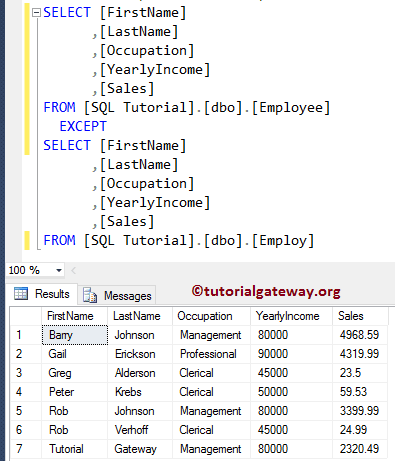 Let us see what will happen when we perform sql except operation on an unequal length of columns. From the above screenshot you can observe that it is returning 7 rows because, except 2, 7, 9, 11 to 14 records, remaining ten records in Employee are also there in Employ table. And our Except operator select only distinct records from Employee.